Church Just Got a Lot More Exciting! 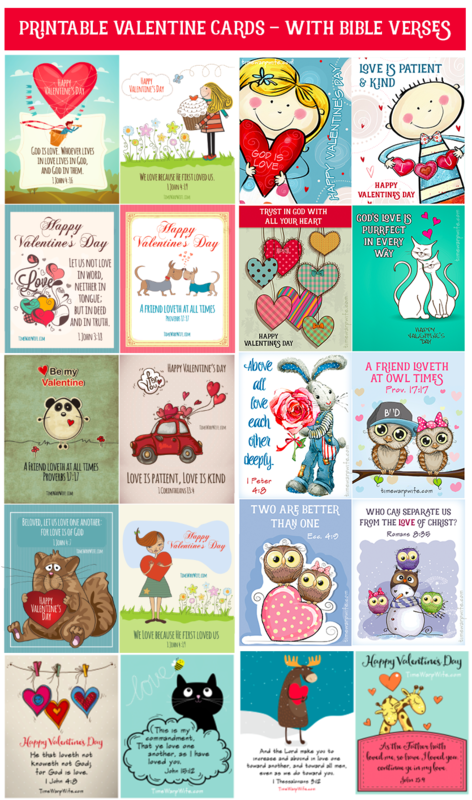 I remember the old days when my sister and I would sit down on the floor together, open our big book of Valentine cards, and start choosing who would get what. I always picked out the prettiest ones for my best friends, and the ones with the rockets, the dogs, and the cars went to the boys in the class. 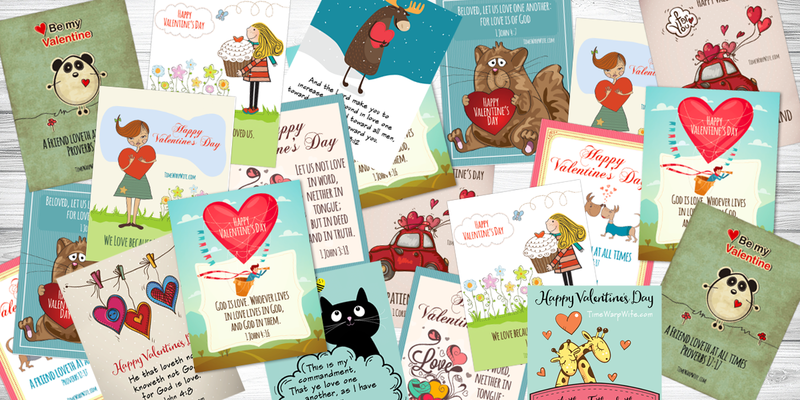 Whatever happened to those adorable cards? Am I the only one who misses them? By the time I had children of my own, all I could seem to find were Disney-themed cards. B-O-R-I-N-G.
And if you’re a Disney mom, like my friend Ashley, then I just put my foot in my mouth, didn’t I? 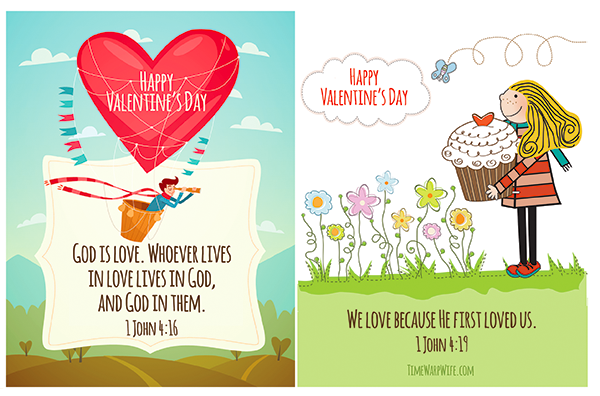 In any case, Madison and I decided to make a set of printable Valentine Cards with Bible verses on them. If you happen to know a family who might like these, maybe you can send them a link to this post. Have you been looking for ways to capture your child’s attention and turn their minds toward Christ? Are you ready to get them excited about going to church? 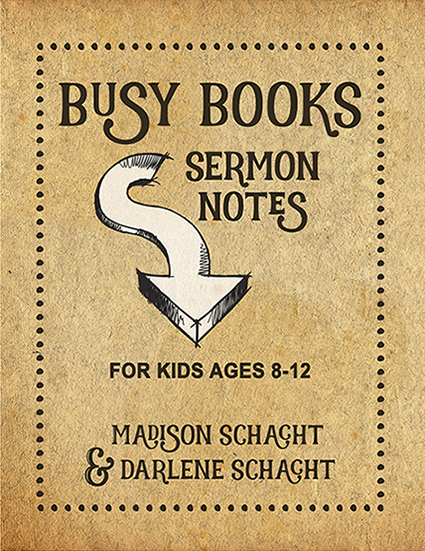 BUSY BOOKS: SERMON NOTES FOR KIDS provides children with a fun and exciting way to learn, take notes, and ask questions. We’ve also got one for teen girls! 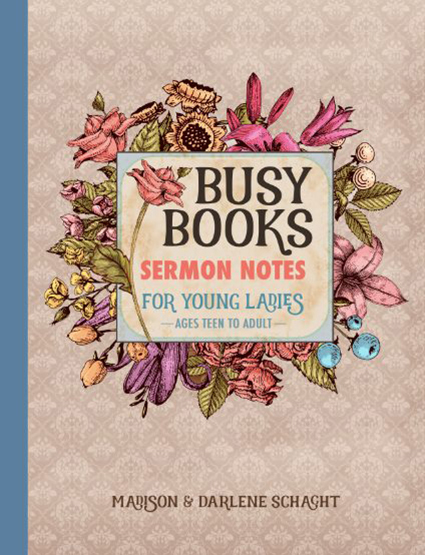 Busy Books: Sermon Notes for Young Ladies is the perfect companion for girls who dig church! This 52-week journal is designed for those who love taking notes, and want to keep them all in one place. The whimsical illustrations and text boxes throughout make this book a keepsake you’ll want to hang on to, refer back to, and meditate on through the years. can take a peek inside! The book is complete with three pages per week for 52 weeks. All you have to do is pack a pen and a gold star! 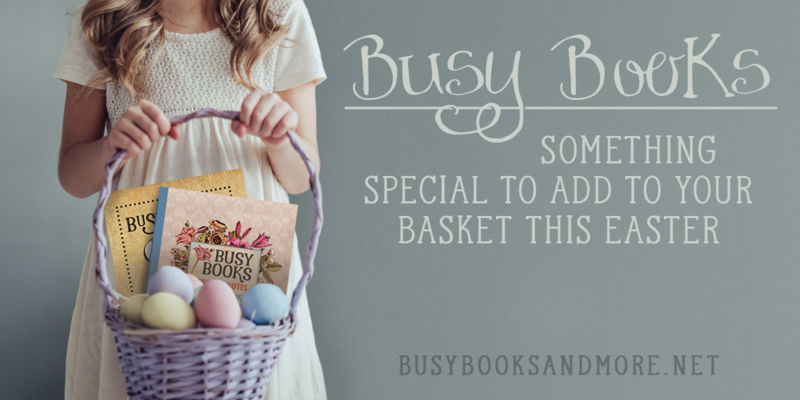 Contact us to get discounts on bundles of 30 books or more. They’re Here… FREE Bible Activity Pages for Kids!